Safety Tips for Going Back to School! | Phoenix Personal Injury Law Blog - Breyer Law Offices, P.C. Fall is coming, and teachers are going back to school to prepare for their new classes. Parents are shopping for school clothes and kids are looking forward to seeing their friends on a regular basis. There are many things to look forward to with the changing season, and families can prepare for those changes by discussing a few important safety rules. • Arrive early so you don’t have to run to catch a bus. • Stand on the sidewalk where the driver can see you but you are out of the way of traffic. • Never wrestle with friends or get distracted, which could cause you to step into oncoming traffic. • If you have to cross the street, wait for the bus driver to signal to you. Look both ways. • Always cross several feet in the front of the bus where the driver can easily see you. • Stay in your seat when the bus is moving. • Never stick hands or head out of the bus window. • Make sure you know where to get off the bus so you don’t exit in the wrong location. • Ask the bus driver if you need help. • Be on time to class and sit down in your seat when you arrive. • Never run or roughhouse in class where someone could get hurt or trip over classroom furniture. • Leave scissors and sharp objects in their storage containers and wait for teachers to assist you with these items. • Obey all school and classroom rules. • Let your teacher know if you see someone breaking the rules or doing something dangerous. • Listen to your teacher if an emergency alarm sounds. 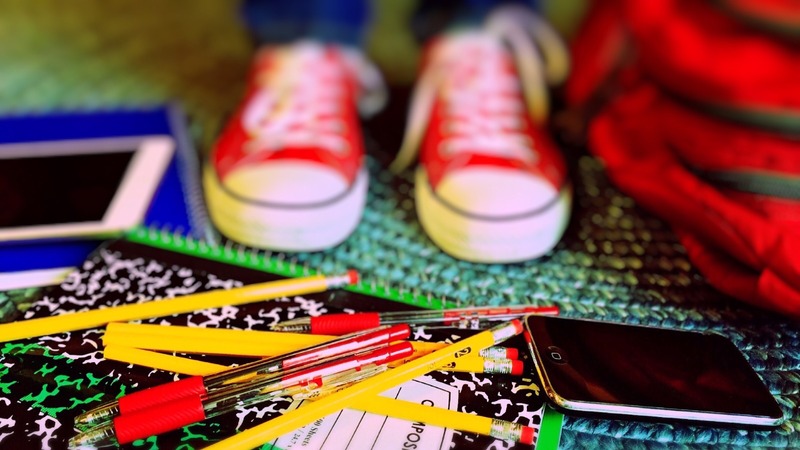 • Stay on school property at all times during the school day and let your teacher know where you are going if you need to leave the classroom. • Let your teacher know immediately if strangers approach you near your recess space or outside the school. Many kids live within close proximity to their school and are able to walk or ride their bikes instead of taking the bus. However, this brings up a separate list of safety rules that are important to review. • Obey all traffic rules, including looking both ways and crossing at crosswalks. • Walk with at least one other friend, or even better, a group of friends. • Never accept a ride home with anyone unless your parents have instructed you to do so. • Know your parent’s phone numbers by heart. • If a stranger approaches you, don’t stop to talk to them. Walk quickly. If they follow you, run to the closest house and ring the doorbell and let the occupant know a stranger is following you. • Only take known routes to school so you don’t get lost. • Walk on the sidewalk and avoid routes that require multiple street crossings. We hope these tips help keep your family safe! If you ever have legal questions or need information on what to do after your child is injured at school, please give us a call. You can reach The Husband and Wife Law Team at (602) 267-1280.